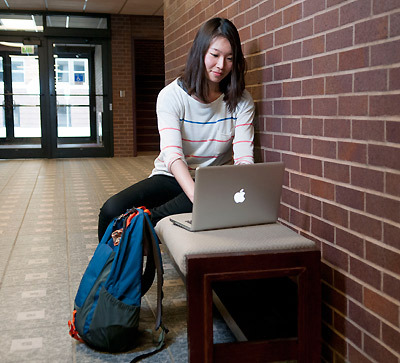 The online environment is different from a traditional classroom. What are the major differences? Online courses are not easier than the traditional classroom. They require time and effort. For a 3 semester hour (SH) course, you should plan 9 to 12 hours of work on your online course a week in order to be successful. You should login to your course every day, and at an absolute minimum of 5 to 6 times a week. If you let too much time go by, you may find yourself unaware of important deadlines or too far behind to catch up. While online courses offer greater flexibility, they demand personal responsibility from you as the student. You can do your course work when you desire, but instructors want work submitted according to a schedule. To keep up with the course flow, you need to be committed and complete assignments on time. The online learning environment provides opportunities to contribute your ideas, perspectives, and comments on the material you are studying and to share your life, work, and educational experiences. This type of communication will eliminate the visual barriers imposed by online learning. You have time to ponder your responses and course input, so that you can provide meaningful and quality replies. When your peers and instructor join in this collective effort, a rich, new type of learning occurs. Read other students work when it is submitted to the discussion board. Don't be afraid to contact them via "chat" or course e-mail and share comments about their work. Ask your instructor on a regular basis about your progress. Resolving problems at a distance can pose some challenges. Online students need to be assertive in order to make their needs known. If you're having problems (technical or learning related), your instructor may not know. You have to communicate these problems to the instructor. Don't be afraid to "chat" or mail students within your course for assistance. This type of communication generates an additional venue for learning. The bottom line is simple - stay in touch with your instructor, even when things are going great. Within the virtual environment, most communication is written. It is critical that you feel comfortable expressing yourself in writing. You also need to be comfortable reading the work of other students and responding to them.